Transportation is one of the many things you need to consider in preparing to go to college, and it can be sort of complicated. Riding a bike to and through campus is an increasingly common transportation method for college students. After all, on-campus parking can be insufficient and expensive. In addition, some college students have decided to save money by not owning a private vehicle at all. As beneficial as cycling can be, there are some things to learn about before you begin pedaling around the area. If you plan to cycle through city streets or on campus, be aware of how various laws may affect you in different situations. The law in each area varies, so it is up to you to educate yourself about biking and cycling regulations and requirements that may relate specifically to you in your college town. One of the more common regulations that affect cyclists relates to the use of a helmet for safety. Some of these regulations pertain to the age of the cyclist or the type of bike that is ridden, and others require cyclists to wear a helmet at all times. According to legal experts, as a pedestrian, your body could be subject to various types of injuries which require medical treatment, physical therapy, or even surgery, and will probably place you under some sort of financial burden you will have to deal with. It’s best to stay to the regulations in place for your safety. Some legal regulations specifically dictate where you can and cannot ride, and these regulations may vary based on whether you are riding on city streets or through campus. For example, some colleges specifically prohibit you from riding on sidewalks. Some cities do not allow you to ride on the curb of Interstate highways. If you know that biking is something you’re going to be doing a lot, or something very important to you, you can always check out bike friendly campuses. In most areas, cyclists are required to obey all traffic signs and laws that apply to motor vehicles. This means that you will need to stop at stop signs and red lights, yield to traffic when signs indicate and more. Avoid thinking that you always have the right of way when you are riding a bike. 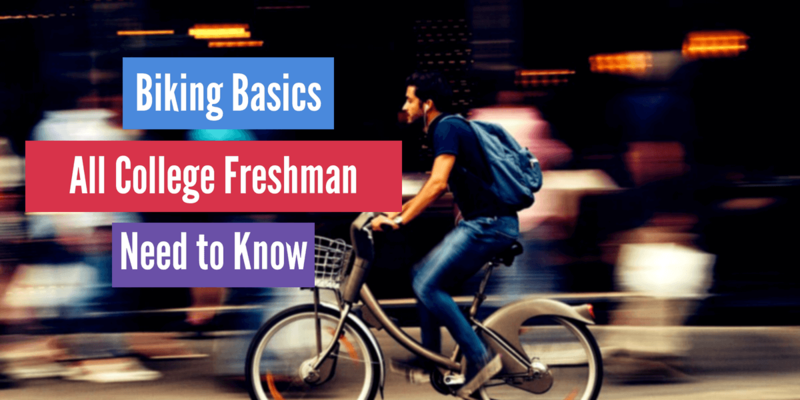 Learning about the laws that affect you as a cyclist in your new town and on campus is essential, but understand that there are other safety steps that you can take as well. For example, wear bright and fluorescent colors. Avoid riding at night or in other situations where visibility is limited. Check your bike tires and brakes constantly. While riding your bicycle is a great way to stay in shape, get around conveniently and save money, you should understand the legal regulations and the risks related to bike travel. Take time to research these points and to prepare for the experience of being a bicyclist on campus.